If you’ve ever woken up on the day of an important event to be greeted by a huge pimple, you’ll be well aware of the connection between the skin and stress. Your skin is a mirror of what’s going on inside. If you’re suffering from chronic stress and have recurrent problems with outbreaks, it’s likely your skin is reflecting an internal imbalance. Prolonged bouts of stress (as in the case with Adrenal Fatigue) can really take its toll on your skin. This is because stress makes the skin more sensitive and reactive, so that any underlying conditions become worse. Even people who aren’t pre-disposed to skin problems can find that their Adrenal Fatigue leaves them at the mercy of outbreaks, compounding the misery of adrenal exhaustion. A pattern emerges which, if left unchecked, can turn into a vicious cycle. 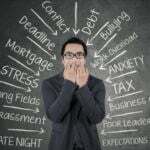 Stress causes outbreaks, which in turn leads to even more stress. So what’s the connection between pimples and adrenal exhaustion? And more importantly, what can you do to remedy the problem? Acne is directly affected by fluctuating hormones. This is why most people associate skin conditions with teenagers going through puberty. During this time a surge in hormones such as cortisol, testosterone, and estrogen cause oil production to be increased. Sebaceous glands on the face and neck produce excess sebum (an oily substance designed to lubricate the skin) so that when old skin cells are naturally shed, pores become blocked and there’s an increase in the bacteria which causes pimples. Unfortunately, both psychological and physical stress can also have a similar effect. If you’ve read around the blog, you’ll know that excess adrenaline and cortisol (two stress hormones) are an issue for people with adrenal exhaustion. This can be a major contributing factor to the problem of adult onset acne. The cells which produce sebum contain receptors for stress hormones. If you’ve been in a constant state of “fight or flight” for some time, these receptors can become sensitised to sebum production, which goes into overdrive. Good skin hygiene is important to help moderate the effects but, unless the underlying issue of stress management is addressed, topically applying creams and lotions will only ever be a limited solution. There is a grain of truth in the old wives tale about eating chocolate and getting spots. This is because consuming foods which are high in refined sugar can directly impact the health of your skin. Whenever you eat foods that rapidly convert to sugar (products made with refined white flour, candy bars, or high fructose energy drinks, etc.) your body breaks these down into glucose (blood sugar) that causes a spike in insulin. This has the effect of creating a burst of inflammation throughout the body. When eaten, sugar attaches to collagen through a process known as glycation that increases the effects of aging and can exacerbate skin conditions such as acne. 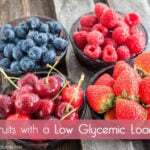 Although consuming these foods may provide you with a temporary lift, they come with a cost. Not only will they worsen your Adrenal Fatigue; it’s highly likely they’ll also make any pre-existing skin conditions worse. 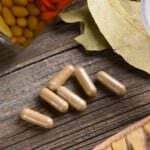 Although there are times when antibiotics can be life-savers, they can also be problematic for people with Adrenal Fatigue. This is because they upset the balance of good and bad bacteria in the gut. When this happens, the result is constipation and a reduction in the absorption of essential nutrients. Acne is often caused by poor elimination and the build-up of waste in the system. If you’re currently taking antibiotics – talk to your doctor. Unless you absolutely have to take them, avoiding antibiotics is another way to help reduce the occurrence of outbreaks. 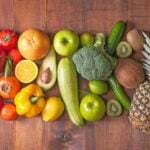 Your liver works hard each and every day to remove a huge amount of toxins and waste. This includes any excess circulating hormones which may be contributing to your skin issues. Be sure to drink lots of water each day to help make the load lighter. If your skin problems are particularly bad, it may also be worth seeking the help of an experienced naturopath or supportive practitioner who can offer additional herbal and nutritional support to help you clear up your problems. Lastly, remember that stress is one of the key underlying causes of acne. 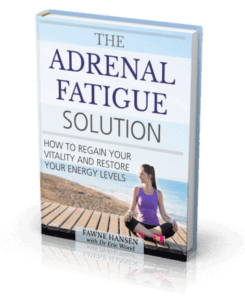 In The Adrenal Fatigue Solution, which I created with Dr Eric Wood, we lay out a comprehensive plan to get your hormones back in balance, your energy levels up, and your skin back to normal.